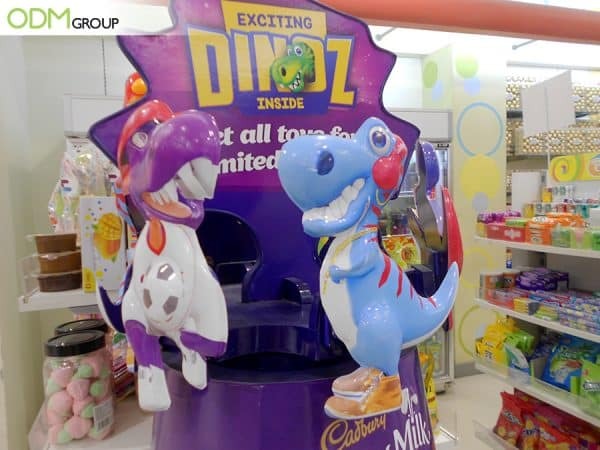 Our team found this bespoke retail display by Cadbury at a shopping mall in the Philippines and we were amazed by how creative the design is. 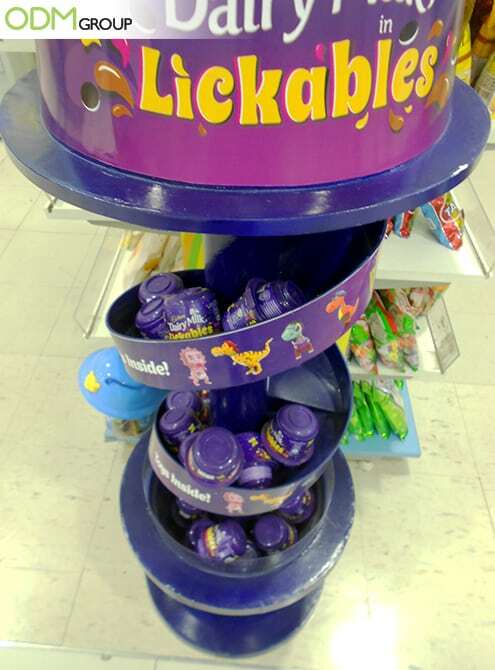 Cadbury is currently promoting Lickables, where customers are treated to a surprise toy. What Set Cadbury’s Bespoke POS Display Apart? Color Stood Out – Using the brand color helped in brand recognition. As such, customers are able to make out the brand even without actually seeing the brand name. Fun Factor– The slide adds a fun vibe that excites kids. Moreover, the beams are just the right height so the products do not fall over when they slide. 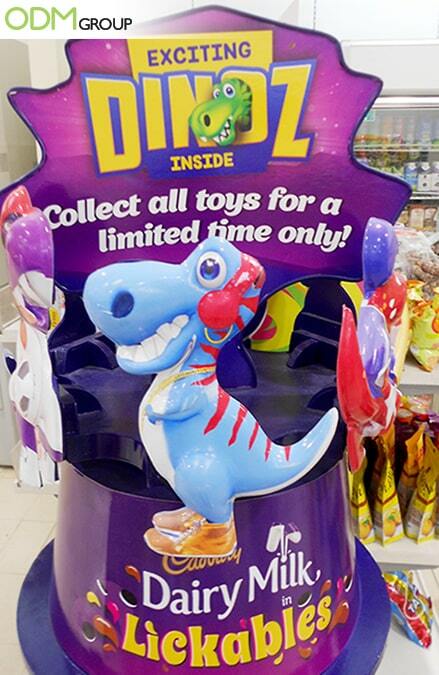 Cute Dino Display– The dinosaur displays are guaranteed to attract kids. This gives kids ideas of what collectible items are inside. Thus, helping increase in-store sales. Also, having a collectible promotional product inside their product packaging adds excitement to every purchase. Collectible promos are a great way to motivate customers to purchase more so that they can complete their collection. Furthermore, offering the said promotion for a limited time gives a sense of urgency, one of the best ways to drive shoppers to make a purchase. Indeed, using a bespoke retail display is a smart move. It gave them a huge competitive advantage over other brands. Moreover, it helped them create a solid visual impact. But how important is it to have a custom made retail POS display? Why Use a Bespoke Retail Display? With so many products in the market today, it’s easy to get pushed in the background. To enjoy great visibility and increase sales, it is necessary to create stunning visual appeal within the retail environment. It’s necessary to make sure to use customized retail displays to command attention from the get-go. If you ever need a reliable POS display manufacturer, feel free to contact our product designers and merchandisers at The ODM Group. Check out this unique store display from Miniso. Modern and sleek design adds a neat look to the display. Here’s Why Prominent Store Displays Catch the Eye! Oreo Outshines Competitors With A LED POP Display! Simple and utilitarian, this display is truly a great addition to retail stores.